THERE’S MANY MORE!… Don’t Forget to Click “Older Entries” at the bottom of the page for more Testimonials! We cannot believe the results we got with Katie and Acupuncture. In 2009, I was diagnosed with endometriosis and PCOS and we knew from there it was going to be a journey to get pregnant. After 3 years of trying – we were exhausted, physically, emotionally, and mentally. After we started acupuncture I realized how beneficial the treatments were for me – as well as my energy and overall health had greatly improved. After 4 months with acupuncture and herbal medicine – we are pregnant! This is amazing – Thanks so much Katie for all you do! Katie is the best acupuncturist for KIDS! (She’s great with adults too.) She has been helping my now-2yr old for the last year and we have learned a lot and progressed well. She is super flexible and always takes time to chat, email and answer questions. November 2012 was a particularly tough month for my husband and me. We had been married almost 8 years and had been trying to get pregnant for over three years. I had been off birth control for five years. I had a history of endometriosis and difficult menstrual cycles. That month, I went to another annual gynecological physical that month and had another conversation with my doctor about infertility. I had received treatment by a highly trained acupuncture physician longer than one year, and those treatments had brought on menstrual cycles more intense and painful than I had ever experienced. She gave me two recommendations: try a new acupuncturist and a round of Femara. I went home that day sad and unsure what to do next. By January, I was ready to seek a new acupuncturist. I had filled the Femara prescription, and it sat on my dresser, staring at me every day, for two weeks. The side effects concerned me, and I wasn’t sure I wanted to take it. I had heard about an acupuncturist that was closer to my home and office, and I was intrigued by the business name, Center of Bliss. I was certainly looking for bliss. My job had become increasingly stressful, I wasn’t sleeping well at night, and I felt a desperation to get pregnant, since I had already passed my 35th birthday. At the same time I contacted Katie at the Center of Bliss, I also made an appointment at a well-respected reproductive endocrinology office for early March. My husband and I decided we would not seek IVF, but we did want to have fertility testing conducted so we could set aside once and for all that we could not have children and either adopt or seek out a new adventure. I saw Katie for the first time on Valentine’s Day 2013. She was young, positive, and energetic. Her needling was kind and her consultation compassionate. She explained to me that she thought my imbalance had less to do with my menstrual cycles or female organs and more to do with my inability to sleep, anxiety, and stress. Katie asked me to add certain foods to my diet and explained I had some stagnation. This was new to me, but after that first session, I felt so amazing – so alive for the first time in years. I became less focused on “getting pregnant” and more focused on relaxation and sleep. I committed to see Katie every 2 weeks. My husband and I went to the reproductive endocrinology office the first week of March. The doctor explained that I would need to have testing completed at days 2-5 of my next menstrual cycle. All the while, I continued seeing Katie, feeling better and better after every session. My energy was up during the day and I was sleeping better than I could ever remember. Easter 2013 weekend my husband and I went to Chicago to visit his colleague and have a romantic weekend. I didn’t feel like myself that weekend, and the rounds of nausea made me think a stomach virus had found me. When I returned home, opened my period tracking app, it said “you are 5 days late.” I thought that maybe the acupuncture had adjusted my period, but the nausea, the tired feeling – could it be? I took a pregnancy test – and another – and went out and bought a digital testing kit and tested again – and every time it said “Pregnant.” It had finally happened to us! I called the reproductive endocrinologist and explained I wouldn’t need to come in for any testing, because I was pregnant. I discarded the femara that had been on my dresser for months. Most importantly, I called my husband who was still out of town and told him our good news. We cried, we laughed, and we thanked our lucky stars for Katie. In just three sessions we were pregnant! I continued to see Katie every two weeks throughout my pregnancy. Compared to a lot of my girlfriends, I experienced much less fatigue and nausea. The pregnancy, despite my age, was without any serious complications. We now have a beautiful, strong, healthy baby girl, born December 1, 2013. I have so many reasons to be grateful to Katie, not just for her skill as an acupuncturist. At every session she really took time to listen to me, to share her thoughts, and to be fully present. I went to her with a list of difficulties and challenges, and every session I walked away with the recognition of my blessings and my path in life. Her positivity and her ability to help me redirect my life have meant so much. I can honestly say that I don’t believe we would have our baby girl without her! Thank you, Katie! I started going to Katie in November, 2012 for some digestive issues I was having. I was in pain all day everyday and after just a few weeks I was pain free. Katie has really worked wonders with my health, this after my GI doctor told me to just wear sweats and live with the pain! Thank you Katie! I started seeing Katie for acupuncture in February 2013. I was nervous at first because, like most of us, I am not a fan of needles. But I was fed up with traditional means of managing my stress and my endometriosis. Katie was incredibly informative, supportive, and understanding. She asked questions about things that would never have occurred to me and explained how everything was connected. I sleep so much better now, my endo pain is minimal, and despite starting my own business, my stress is much much more manageable. Thanks to the connection with Katie, I started practicing yoga at The Center of Bliss. I have been a regular practitioner of various forms of yoga for years, but Katie and Maryanne introduced me to Mysore and Ashtanga and there is no going back. The freedom that comes from understanding the foundation is amazing. I am a naturally Type A personality who likes competition and will always push myself to the next level be it a marathon or other fitness goals; but through their guidance and the Ashtanga principles, I’ve let go of that need. I sink into the poses and am able to be at peace (at least for a little while) while on my mat. I’m also learning to take those same principles off the mat and into my daily activities and thoughts. I am forever grateful. Acupuncture helped me so much!!!! I recently went to see Katie because I was having trouble getting pregnant. My husband and I were trying for over 2 years to have our first child! We did a combination of acupuncture and fertility treatments and I am happy to say I just found out I am pregnant!!! I couldn’t be happier. I was also very afraid of needles at first – and I LOVE acupuncture. The needles do not hurt and I barely feel them going into me. Katie was so wonderful with me and made me feel comfortable, informed, and even excited about getting acupuncture. Please if you are having trouble getting pregnant – go to see Katie!! I wish I had done this years ago. Katie was recommended to me and I thought- Heck, I will try anything!! I went for several sessions and noticed immediate results and I can say now- the results appear to be long-lasting. I am walking, running, working, doing housework/yardwork w/o pain! The results are not only subjective (“I feel good.”) but they are also objective as evidenced in yoga class; I wasn’t able to touch my toes a couple of months ago d/t the “catch” in my back. Now, I can touch my toes and get in poses I couldn’t do before!! The teachers at The Center of Bliss are so caring and compassionate. They will push you to your own limits in a gentle yet encouraging way. I really the like community here. This is by far one of the best studios I’ve been to. My experience with Katie was incredible. I went into her with a referral from my medical doctor. My skeptisim was on my radar at first. How could acupuncture and sticking needles in my body actually cure me? However, my shoulder pain did not care what type of treatment I was going to get – I just wanted out of pain! Katie’s approach to her techniques is one of high professionalism. She not only has completely eliminated my shoulder pain but she explained to me the procedure. I was SHOCKED at the results. 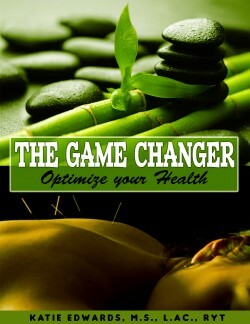 I continue to get acupuncture even after my pain had gone away because of the overall wellness I get from it. Katie has successfully helped my husband and I conceive our first child. After a long battle with fertility treatments, acupuncture was our last resort. We were left hopeless. Thank you Katie for bringing that hope back. We are beyond grateful. I couldn’t be happier with the yoga classes at The Center of Bliss. I am getting my life back. The yoga instructors have so much knowledge and guidance and they are the most caring people I’ve ever met. As a beginner, I was intimidated by Ashtanga yoga at first but once I came to this studio I realized that there was nothing to fear. This is what a yoga studio should be.